One reliable way to extend to your roof’s lifespan is through maintenance. That’s why you should always keep this task on top of your must-do list. Roof maintenance keeps your roof in good health and this extends to the rest of your home. This means no water stains or streaks inside or out and less potential for flooding or leaks. Continued Roof Performance. Make the most of your system’s life by investing in proper maintenance, helping prevent small roof problems from getting serious. Because of this, you won’t have to worry as much about leaks and their accompanying issues. Aside from continued weather performance, your roof will look lovely and intact, helping maintain your home’s curb appeal. More Savings. You probably already know that an overlooked roof can lead to extensive damage. This doesn’t just compromise your home’s comfort and energy-efficiency–this results in costly repair and restoration work, as well. To avoid significant stress and expenses, make sure to keep regular roof maintenance in mind. Your Home’s Structure is Intact. A well-maintained roof keeps rainwater at bay, which means there’s less chance for leaks. Because water won’t find its way inside your walls and foundation, you can retain your home’s structural integrity for longer. What Does Effective Roof Maintenance Involve? Your roofer will start inspecting your home’s interior first. They’ll check for water damage, noting if there are streaks and stains along your walls and ceiling. This indicates a roof leak. They’ll then conduct a comprehensive checkup of your roof’s surface, from the roofing material and flashing, to fasteners and gutters. Dents, cracks, corrosion and buckling are just some of the warning signs they’ll look for. Once they’ve completed the inspection, they’ll then carry out the necessary repairs. 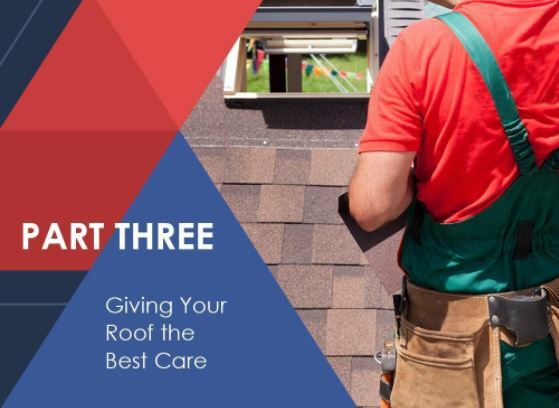 Thorough inspection, prompt repair and regular maintenance–once you’ve committed to these strategies, getting the most out of your roof’s lifespan should be worry-free. To learn more about how you can make the most of your roofing system, don’t hesitate to get in touch with a reputable roofing contractor in your area today.